To fully experience the natural beauty of the peak ridge of Učka, take a walk along the Plas educational trail, which starts only ca. 300 metres below the peak of Vojak. The Plas educational trail passes over the slopes of the peak ridge of Učka, which is of extraordinary importance and value for its geological formation and rare endemic plant and animal species. The trail runs through a thick forest of typical littoral beech. It features tended places to rest and vantage points offering magnificent views of the Istrian hills and the Ćićarija mountain range. 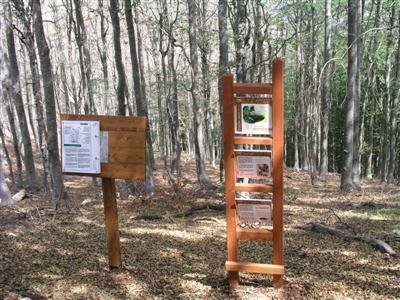 Interpretation boards along the trail introduce visitors to the natural characteristics of this summit area of Učka, the richness and biological diversity of its flora and fauna, and the origins and various forms of the karst relief. 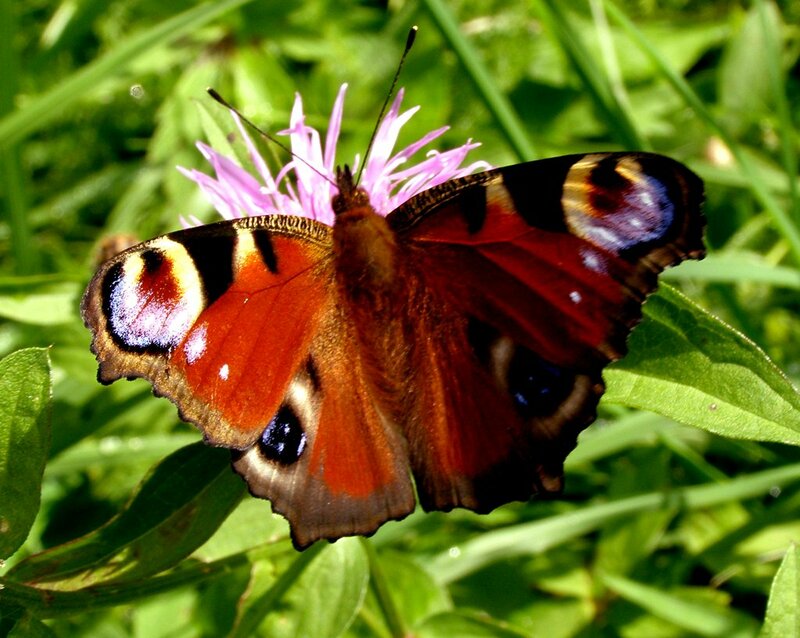 For more information about walking along the Plas educational trail with expert guidance from the park’s staff, please click here. On the eastern slopes of Mount Učka, above the wonderful beach of Mošćenička Draga, there lies a deep, mysterious gorge, whose shade hides a story older than thousand years. It has long been supposed that these slopes of Mount Učka had very special significance for the first Slavic settlers to reach the Kvarner area. Today we know that this area was chosen as the site for their most sacred beliefs, the stage for ancient mythical events on which the cycle of life and natural changes, crucial to human existence, were based. The Trebišća-Perun history and mythology trail is an attempt to explain more about who the Slavs actually are, what we know today about their origins, why they came here, and the beliefs on which life in their community was based. The trail tells the exciting story of how the pieces of this ancient history, whose traces have survived a thousand eventful years, have been pieced together into the jigsaw that makes up our present knowledge about the sacred nature of this area. The trail leads you through pristine nature and preserved hamlets in the canyon of Potoška vala up to the peak of Perun (880 metres above sea level). In addition to the mythic dimension of this area, you will also learn more about this area’s extraordinarily beautiful natural landscape and the history of the hard yet quaint way in which people used to live here. The Trebišća-Perun history and mythology trail is an all-day hiking trip. Before starting, we recommend you assess your physical condition and make sure to wear appropriate shoes and clothes and take enough water and food. 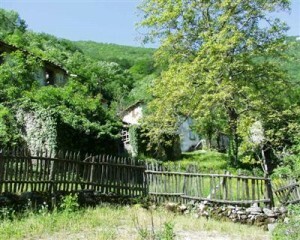 The only reliable source of drinking water is in the hamlet of Trebišća. For more information about walking along the Trebišća-Perun history and mythology trail with expert guidance from the park’s staff, please click here. 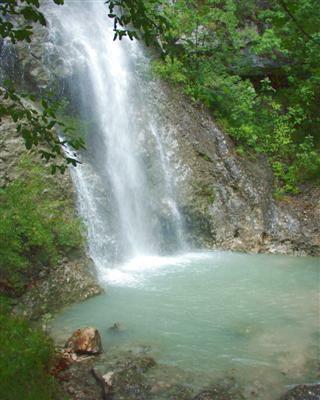 The Slap nature trail (Slap is the Croatian word for waterfall) runs through the Lovranska draga area, one of the most beautiful and most impressive torrential valleys on the eastern slopes of Mount Učka. Even today it is still being shaped by the force of the watercourse. The trail leads to a waterfall in a stream that runs through the canyon and flows into the sea at Medveja. The trail continues to the rest area next to this attractive waterfall, past some sweet chestnut plantations, an oak and hornbeam forest, and over old terraces that were once used for agriculture. For more information about walking along the Slap educational trail with expert guidance from the park’s staff, please click here. 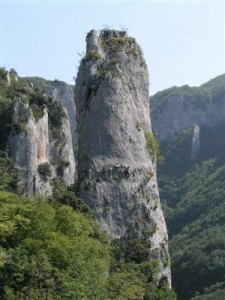 Without question one of the most attractive sites within Učka Nature Park is the canyon of Vela draga. This natural phenomenon, which the forces of nature – earthquakes, wind, sun and water – first began shaping as early as the Tertiary period (140 million years ago), has been protected since 1963 as a natural reserve, and since 1998 as a geomorphological nature monument. The Vela draga educational trail passes along the edge of this impressive canyon. Interpretation boards inform visitors in four languages about this nature monument of extraordinary geomorphological value. The text on the boards is written in easy-to-understand popular scientific language to explain geological phenomena such as the origins of the Učka massif and this canyon. Above the canyon is a well-tended vantage point where walkers can rest for a while and admire the magnificent view of the limestone towers, which will certainly remain etched in the memory and arose admiration for the greatest architect of them all – Mother Nature. The more demanding part of the trail descends from this vantage point to the feet of the stone towers and the bottom of the canyon. Apart from geological phenomena, this trail also informs visitors about alpinism and free climbing – sports that have been pursued in Vela draga since 1931, when the legendary alpinist Emilio Comici first climbed the Large Tower in the canyon. Over time, Vela draga became a famous climbing area where many Croatian and European alpinists and free-climbers gained valuable experience. For more information about walking along the Vela draga educational trail with expert guidance from the park’s staff, please click here. Discover the natural beauty of the mountains of Ćićarija and artistic works in places in which you would least expect them! This circular trail is a combination of artistic interventions in the form of land art and the natural beauty of Ćićarija, that is, its southern areas around the cliff of Stražica and the meadow of Sapaćica. The trail is not demanding so it is suitable for parents with children, the elderly and other visitors looking for a pleasant and easy walk through the countryside. The leading thought of the trail is the development of the importance of the connection of man and nature. Man is, regardless of the alienation and bustle of today’s way of life, an inseparable part of nature. As you walk, breath in the fragrance of the forest, listen to its sounds, feel the moist earth under your toes, feel the powerful energy of nature around you. 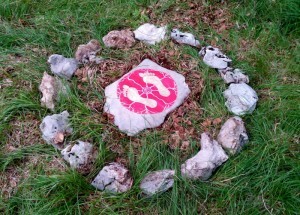 Don’t forget to look for the land art works that will encourage contemplation and meditation within you. Stand in silence, feel nature and connect with it as you observe the artistic work.